Scapolite from Valyermo, CA. Collected 2015. Daylight, LW, SW. 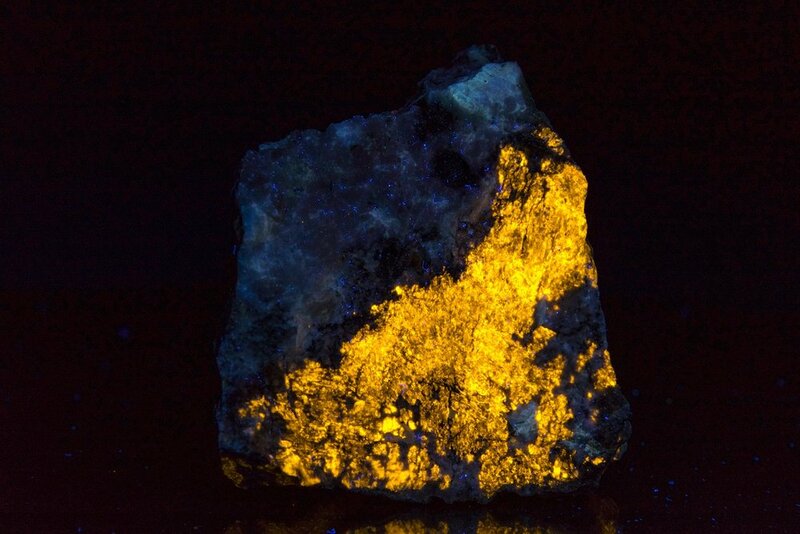 Featuring the rarer previous generation of red fluorescing scapolite.